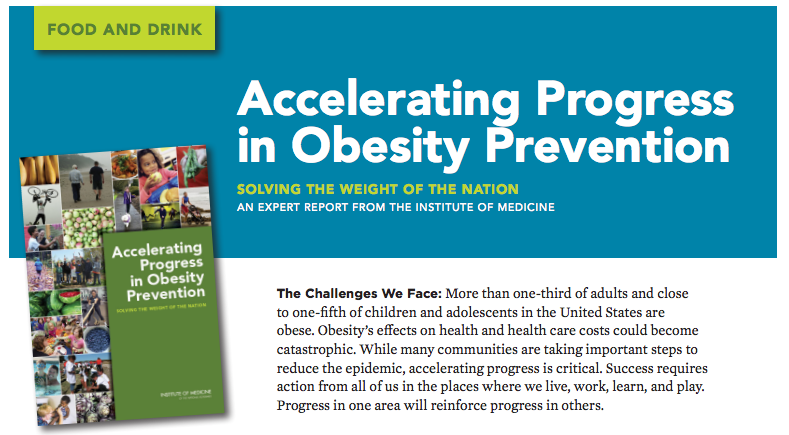 Two-thirds of adults and one-third of children are overweight or obese. Left unchecked, obesity’s effects on health, health care costs, and our productivity as a nation could become catastrophic. 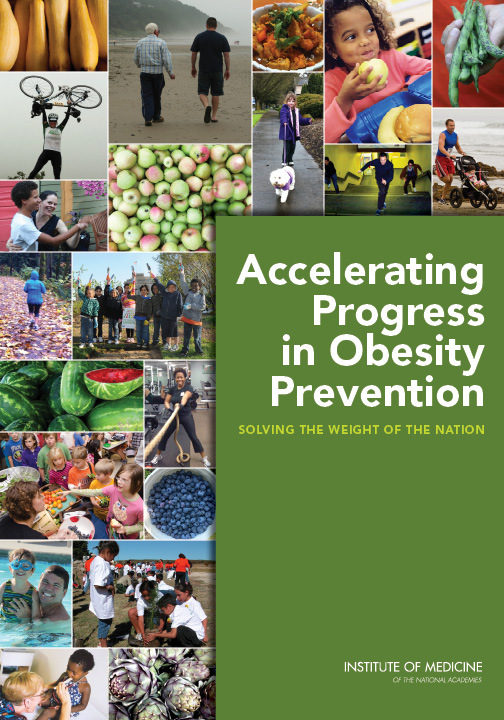 The staggering human toll of obesity-related chronic disease and disability, and an annual cost of $190.2 billion for treating obesity-related illness, underscore the urgent need to strengthen prevention efforts in the United States. 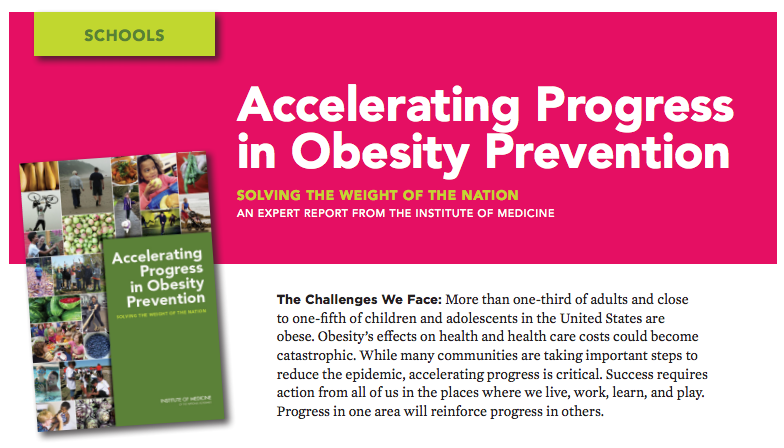 The Robert Wood Johnson Foundation asked the IOM to identify catalysts that could speed progress in obesity prevention. 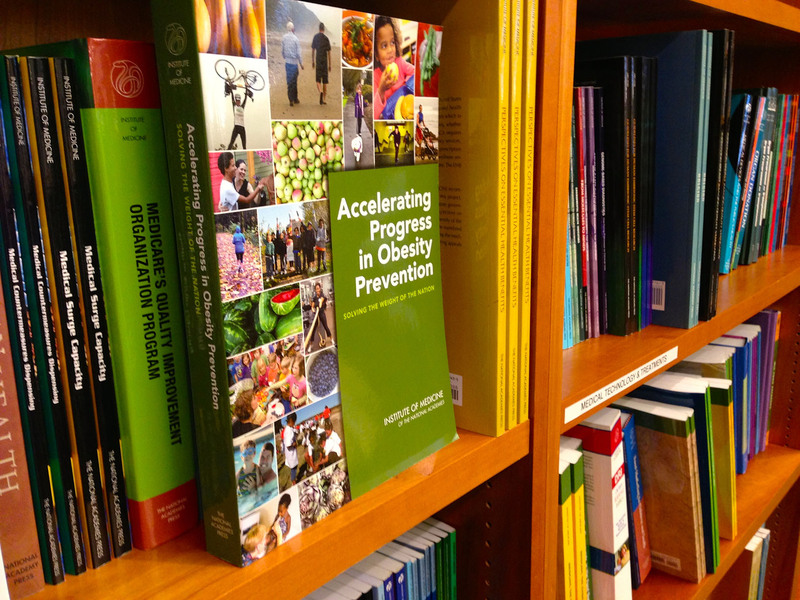 The Institute of Medicine evaluated prior obesity prevention strategies and identified recommendations to meet goals and accelerate progress. As part of a combined public awareness campaign involving the launch of HBO’s documentary Weight of the Nation, we designed materials for the official report cover (including some original photography), briefs specific to engaged audiences, environmental graphics, data visualization, and an online widget to better sort and understand the data.